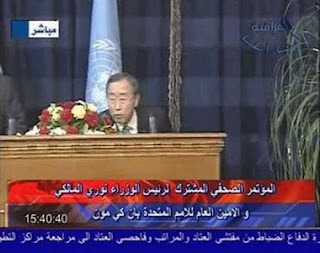 ** The BBC has video (HERE) of the UN Chief Ban Ki-moon ducking behind the podium in Baghdad after a blast hit inside the Green Zone during his press conference. 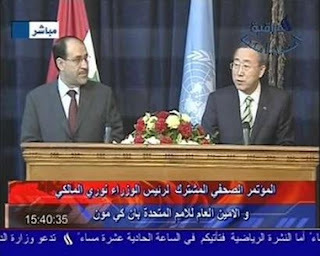 This was the first trip to Baghdad by the new UN Chief. Peek-a-boo! UN Chief Ban Ki-Moon ducks at the podium. 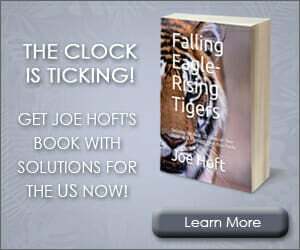 A news conference by the head of the UN and Iraq’s prime minister has been interrupted by a loud explosion sending debris falling from the ceiling. Speaking in Baghdad’s Green Zone, Ban Ki-moon was seen to flinch behind his podium and he appeared shaken by the nearby blast of a mortar or rocket. The conference resumed after the blast! Iraqi Prime Minister Nuri al-Maliki was unfazed by the blast.